The High Court is hearing the latest stage of the case into the fairness of bank overdraft charges, by studying historic contracts. 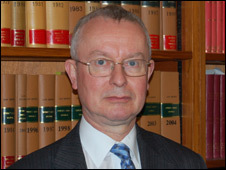 Judge Mr Andrew Justice Smith will determine whether charges going back for years can be challenged. The banks are set to appeal against his first ruling - that the Office of Fair Trading (OFT) can assess whether fees are unfair - by the end of 2008. The current hearing is expected to last for three days. The OFT has been seeking legal confirmation that it can rule if bank overdraft charges of up to £35 are fair or not. Eight banks, which provide about 90% of the UK's current accounts, have been keen to oppose this to protect the estimated £3.5bn a year of income they generate from charging customers who go overdrawn without permission. Under pressure from hundreds of thousands of customers suing them for the return of their overdraft charges in the county courts, banks agreed to a High Court test case in two stages. The first was on the authority of the OFT under consumer contract regulations. The second will be on the fairness of the charges themselves, which the OFT has been investigating since April 2007. Tens of thousands of claims for the refund of bank charges have been frozen in the county courts since the test case was agreed. The current High Court hearing relates to whether overdraft charges levied historically can be assessed for fairness by the OFT. The judge's initial decision - that the OFT did have the authority to consider fairness, which is being appealed against by the banks - only relates to current agreements between the banks and their customers. 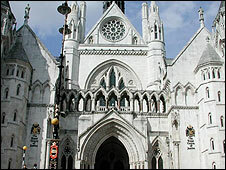 The current hearing will consider fees from the banks' old terms and conditions for current accounts. Meanwhile, the OFT is continuing its investigation into the fairness of overdraft fees and is expected to offer the banks its "preliminary views" by the end of July. The entire legal process is expected to last several more months.